Ownership is something that is easily recognized, but not easily defined. An obvious illustration of ownership can be found in real estate. Generally, when you own a property, you treat it with respect, keep it in good repair, and make improvements to protect your investment and increase its value. When you’re just the renter in a property, you don’t have much motivation to care about the spills, the holes, the burns, or how your daily activities affect anything beyond your security deposit. Ownership in the retail industry is not much different from the real estate industry in that there are those with an “owner” mentality and those with a “renter” mentality in each. In any retail business, you can usually identify the owner or manager just by observation. It’s not just that they’re wearing better clothes or walking around with an air of authority. You can point out the head honchos because you can see that they are operating from that position of “mine-ness.” They notice more, ​engage more, and care more because they have a greater financial and emotional stake in what they’re doing every day. Occasionally you will encounter a non-managerial employee who possesses that elusive quality of ownership. This is the employee who treats the company they work for and the customers they serve as their own. To the employee with ownership, every success, big or small, is something to celebrate. Every failure, big or small, is something to worry about. This rare and wonderful employee takes every aspect of their job personally and is internally driven towards excellence because that’s the way they like to show up in the world. Many retail managers don’t know there is such a thing as ownership until they accidentally hire someone with it. Suddenly the sharp contrast between the employees with the owner mentality and the employees with the renter mentality becomes apparent. The newly awakened manager can now see that the quality of ownership brings with it the kind of proactive and productive behaviors that get things done and get them done well. Since employees with ownership are usually self-directed and low maintenance, managers find that they have few time-consuming supervisory hassles with them. Liking what they see, managers instantly want more of this ownership stuff, but since they’re not sure how they got it in the first place, they’re not sure how to go about getting more employees with it for the future. It’s not as mysterious as it may seem. Understanding what ownership is, deciding that you want it, and recognizing it when you see it brings it closer. A manager who wants to establish a strong sense of ownership as the standard operating attitude with an employee team just needs to ask for it, support it, and positively reinforce it in order to get it and keep it alive. A majority of employment ads outline tasks and responsibilities in great detail, but the personal qualities, work style, and character of the dream employee are barely mentioned or completely absent. Is that because managers have not taken the time to define the intangibles or because they’re afraid to ask for what they want? Whatever the reason, it’s like ordering an omelet without specifying the ingredients and hoping that what you’re served is something that you’ll love. It might happen, but it’s a long shot. You must have a strong sense of ownership which drives you to find ways to do things better, faster, and cheaper. Need someone who takes ownership with each transaction, and finds ways to delight and impress customers every day. Success in this job requires that you take ownership in your assigned department and exceed the expectations of your supervisor with your efficiency and attention to detail. 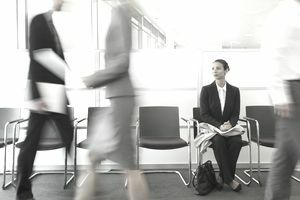 With one simple line in your employment ad you can scare off some of the slackers and set the stage for an ownership discussion in the interview. Every employer hopes that every applicant will bring that magical quality of ownership with them, but few employers make that an identified requirement for hiring. Along with math skills, computer experience, and customer service demeanor, ownership is a quality that needs to be on “the list” if it’s something that’s important for the job. Successful interviewing can help narrow the field of candidates. Here’s some basic interview questions that will help you determine if the candidate in front of you truly has a sense of ownership. A blank stare will tell the tale. If the candidate can’t think of a way to answer your question, or can’t easily give you a concrete example, then ownership is not something that comes naturally to him or her. Someone with a strong sense of ownership has many examples of it and will be proud to tell you about them. Whether it’s something dramatic like the fundraiser they spearheaded for tsunami victims, or something small like taking a plastic bag to clean up after their dog in the park, a demonstration of ownership in any area of life demonstrates that this applicant will be bringing that valuable quality into your business. Will the employee be working without supervision? Is there a large amount of direct customer contact that the employee will have as a regular part of their job? Is this a unique position with unique responsibilities as opposed to a duplicate position on a large team? If you answered “yes” to any or all of these questions, then it would serve you and your organization best for you to hold out for ownership. In an unsupervised position, a person with ownership will be productive and motivated without any external source of inspiration or direction. In a customer contact position, a person with ownership will take charge of the interactions and ensure that they are led to their best possible conclusions. In a position that is not duplicated anywhere else, a person with ownership will know that others are depending on their contribution, and will thrive in that position of key responsibility. There are some job positions in which ownership would be nice, but it’s not necessary. But if you’re hiring for a position in which ownership is a key factor for success, then it is a quality worth waiting for. If you think that anyone can be taught ownership behaviors, then you might want to think again. You can encourage an ownership tendency and watch it grow, but if the seed isn’t there, you can dig all you want and you’ll never find that proactive, responsible employee that you really desire. Skills can be taught. Personality and internal qualities cannot. In the hiring process, it’s important to get clear about the intangible qualities that the candidate is bringing to your party before you decide to invite them in. If you can’t teach the quality of ownership to someone who doesn’t inherently possess it, is there any point in thinking about how ownership fits into the training process? The short answer is “Absolutely!” Training will not magically insert the quality of ownership into every employee who walks in the door. But any person who does walk in with an ownership attitude can easily have it sucked out of them quickly, starting with the training process. Most “training” programs are really “telling” programs. Managers or trainers tell the trainees what to do, tell them how to do what they do, tell them policies, tell them procedures, tell them rules, and tell them 23 ways they can get fired in this company. It’s a whole lot of telling that passes for training, and it sets up the paradigm that employees need to do as their told, which is the opposite of the paradigm of taking ownership. When conducting employee training, it’s important to differentiate between teaching skills and conditioning behavior because each aspect demands a different strategy. Specific skills like running a cash register, using the computer, completing reports, etc. need to be taught with specific how-to steps. These are the robotic parts of the job in which creativity and deviation are not acceptable. However, any other aspect of the job, like courtesy, efficiency, cleanliness, safety, etc. should not be taught in a robotic how-to way. These are the aspects of the job in which you want employees to be express their creativity, insert their personality, and make an emotional investment. You encourage ownership when you use an outcomes-based training strategy whenever possible. By clearly establishing a desired outcome, giving performance guidelines, and then allowing employees to put their personal spin on achieving the outcome, you will give the seed of ownership room to grow. As an example, the employees at the Walt Disney theme parks are world-renown for their proactive courtesy. These employees are not taught a series of how-to behaviors that will produce courteous interactions. Instead, they are told that the desired outcome of every interaction is to delight the guest, and whenever possible, exceed the guest’s expectations. They are given guidelines about safety, efficiency, cultural diversity, and cost control, but they are never told exactly what to do or when to do it. They are allowed to devise their own creative solutions based on the unique situation that is in front of them. As a result of this outcomes-based training, the Disney employees are encouraged to take ownership for each and every guest (customer) transaction, and they remain mentally and emotionally engaged in their work. This is how Disney employees are “trained” to make magic. Employees in any retail business can be encouraged to take ownership and add their own “magic” to their work during the training process. The operational support they receive on a daily basis will then determine if they actually do it. Outcomes-based training can activate the quality of ownership, but only outcomes-based management can keep it alive. Instead of focusing on telling employees what to do and how to do it all day, managers who support ownership spend their day reminding employees about desired outcomes and offering support as the employees work their own strategies to achieve those outcomes. This release of control is difficult for many managers because they think the reason they were chosen to be a manager is so that they could boss people around. Employees with ownership won’t work for bosses with a controlling style of leadership for very long. And those employees who are comfortable being told what to do will never have a sense of ownership. In an environment of ownership, the expertise and authority of the manager is best used to eliminate the barriers that make taking ownership difficult or impossible for the employees. For instance, employees who don’t have the magical cash register code can’t take ownership for a return transaction. Employees who have never seen or don’t know how to read the plan-o-gram can’t take full ownership for their stocking responsibilities. Employees who don’t have the authority to make decisions to remedy a customer complaint will never take ownership for service recovery. By removing these barriers, the manager makes ownership possible and keeps the owner mentality alive. Nobody can eliminate barriers to success more quickly or more easily than a supportive manager who understands the value of ownership. Using your time to eliminate the barriers to taking ownership is time well spent because at the end of the day you will be encouraging employees to rise to a new level of responsibility in their daily activities. What you give your attention to is what your employees will give their attention to as well. When you “catch” employees demonstrating ownership, make sure they receive recognition in a way that is visible to their teammates. When employees observe their teammates being rewarded for certain behaviors, they are likely to adopt those behaviors as well. When choosing the most appropriate reward for ownership behaviors, remember that people with ownership are emotionally invested in their work. The recognition that will have the most impact is the kind that is customized and personal because it will connect with the employee on an emotional level. Just like with any special occasion, the nice present is appreciated, but a sincere and genuine message in the card is treasured. Many managers say they want more ownership, but secretly fear the chaos that might come with the loss of control. The goal of ownership is not to have everybody running around “doing their own thing,” but rather to allow everybody to do their job and still be their own person. Control (or the illusion of it) can still be maintained with clearly established goals, performance levels, and accountabilities. Those who exert their managerial powers by telling people what to do, what to think, and how to behave, have unconsciously confused managing with parenting. The kind of adults who will allow themselves to be treated like children are not the same people who will be the proactive, self-motivated employees with ownership that most managers desire. Managers can have total control or they can have ownership, but they can’t have both. The key is to choose consciously which you want, and then focus on your own behaviors so that you can get what you've chosen.